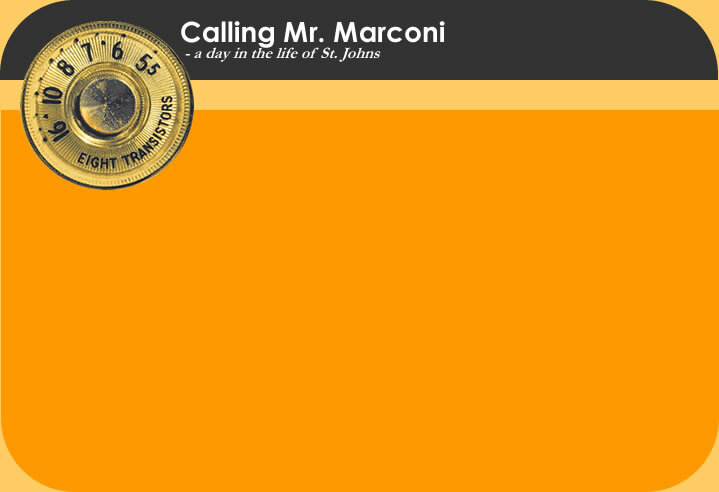 When Guglielmo Marconi installed a receiving station at St. Johns Newfoundland in November 1901 he probably never realized the full impact of his invention. Radio is now as remarkable as wallpaper. The people of St. Johns are determined to celebrate this most ubiquitous of mediums on the 100th anniversary of the transmission of the first signal across the Atlantic. Producer Chris Brookes from Battery Radio captures the town's enthusiasm as they move through the day. Today the airwaves buzz with voices from cell phones, radio, television, and more. Yet, barely one hundred years ago the air was strangely empty. Then on Signal Hill in New Foundland, a young Italian inventor threw a kite antenna into the air and changed the world forever. The man was Guglielmo Marconi and his reception of the first trans-Atlantic wireless signal on December 12, 1901 has made possible almost every communication device we use today. What is life like around the perimeter of Ground Zero? It has become part of the landscape now - disaster area, tourist attraction and shrine  This program paints a compelling portrait of 24 hours: the rescue workers as they take a break, the tourists who come to stare and take photographs, the evangelicals, the street vendors, and those who were left behind.